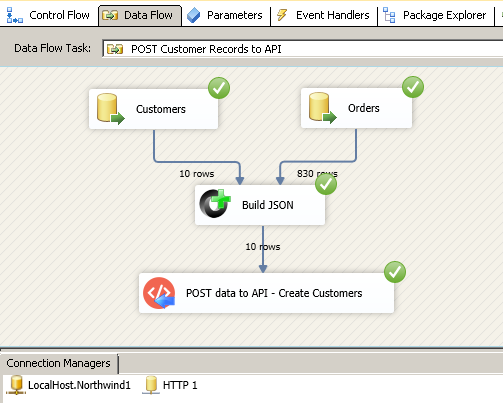 SSIS Web API Destination can be used to POST data to any API end point such as JSON API (i.e. POST to REST API) or POST to XML API (i.e. SOAP Web Service). This task provides several advanced options which makes it possible to connect virtually any API Service.